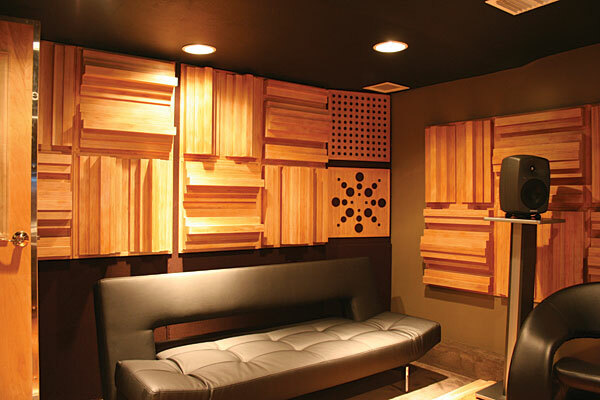 Audio-tuts has some extraordinary and easy-to-understand information to impart to you regarding acoustic treatment. Since this is a very technical subject, this guide is without any pretention to perfection. However, it does indeed offer the tips that would help the beginners, and also goes thorough on room acoustics. I intend to deal with such basic issues as exact space, kit position, the kinds of sound treatment techniques and the materials to be used. As it is, the majority of those wanting to have a studio of their own does not have the capacity to put together one out of what is available to them. Even making lasting arrangement is not possible. This gives way to certain faults which need to be removed. It is good if you have the financial capacity to have your room examined by experts in the field. But if you donâ€™t have it, then you can come round the problem by a different route. As the experience goes, each and every room is different from the other and its spatial properties are also unique to it. Walls, angles, flooring, windows, doors and all that directly impact the way sound is perceived in a room. You got to search what is the problem with it. This is a necessary step to be taken before making a purchase of any acoustic treatment. If you are forced to use a particular room, then it is often seen that you get focused on its shape and size and overlook its highly reflective surfaces. What it does to your tracks is that its surfaces reflect the audio so much that your ears are forced to hear every sound more than once. It makes the task of music mixing absolutely problematic. In case you have large windows, cover them up with curtains. These are better than large and open areas of glass. Polished and exposed work surfaces too are to be avoided. The same rule applies to flooring also. Tough textured carpet is to be preferred over laminated or wooden floor. And if you have many rooms to choose from for the purpose, then opt for the one which is neither too large nor too small. This is because large rooms produce such problems as standing waves, nodes and considerable reflection. Removal of these problems requires a lot of treatment, and so does the size of the walls of large rooms. On the other hand, if you use a very small room for a studio, it will possibly create fewer problems. One of these is that of the lower frequencies which won’t have room enough for development, which leads to inadequate conversion to larger systems. But this is nothing besides the monitoring problems cropping up in small rooms. There is absolutely no way acoustic treatment can cure it. The only answer to this problem is relocation. As regards the shape of the inner space, regular surfaces which stand opposite to one another are no-good; comparatively walls forming differing angles can be treated with much ease. In which position you listen too is as important as the situation of a room used for a studio. If you have sufficient space available for placing your equipments, it will be better. Sound, especially that having lower frequencies, coming from your monitors require enough room for development. You do well not to position your system in a recess or close to any wall. There are some speakers which have rear ports, which means they need to be located at least about ten inches away from any hard surface. This is necessary if you want to reproduce bass properly. The same rule applies to sub woofers having side or rear ports. If your room is long or oblong in shape, position yourself in a way that you are aligned with the longer part of the space. It lets low frequency sounds to develop and makes it easy to treat reflections with broadband absorption. It will help you to know that there is a thing called sweet spot which is considered ideal. It lies between the speakers. If your speakers are placed in right position, then you can comfortably form a triangle between your ears and speakers. And see to it that you place these speakers in a position that their faces are aligned with the lines of the triangle. Also they need to be tilted downward if they are situated above you. If you find yourself in such an ideal position, you are sure to get a nice stereo image, and all frequencies produced by your system will be finely audible to you. It puts you in a position to exactly make out what is wrong with your room that requires acoustic treatment. It will be good if we learn about the different kinds of treatment and the potential of each kind before proceeding to deal with the issue of where and how your acoustic treatment system should be placed. Getting right understanding about these basics will put you in a situation which where you will be able to decide what you are going to do about what problem. To begin with, there is absorption. This acoustic treatment is generally used in home studio’s or rather overused. Sometimes this is the only kind you might find in some. The problem in using this mode of treatment over much is that it may negatively affect the end-product of your mixing labors. Therefore, it will avail you to know how and when it is to be used. Absorption is ideal where reflection is the issue you’re facing. This reflection comes in the form of echo and affects the mid and high frequencies. If nothing is done to remove this problem, it may make the listener lose patience with the echoes. With these in place, you just cannot have the quality of mix you desire. Absorption generally makes use of tiles of varying thickness and textures, which absorbs certain proportion of sound that hits them. The direct result of this is lessening of reflection. The listeners don’t have the signals returning on them to plague their audio experience. If you are a novice, the best advice for you is to get these broadband absorption tiles and treat wide range of frequencies with them. But take care that you don’t indulge in a vice of overdoing it. If you do overdo it, then you are sure to get completely lifeless and un-viable space. Right thing to do is to do it proportionately and then turn to look after other aspects requiring treatment. Having talked about the negative impact of reflection, now if one is to say that its presence in the work-space is good, it should not be considered self-contradictory. Just a bit of your mix returning to you from different parts of the room makes for a realistic stereo image and sounds natural. However, you need to see to it that you don’t keep your walls so bare that you end up getting awful slap-back kind of audio delay that will go against your grain. Flat and hard surfaces like the monitor of your computer and other work surfaces can also give way to reflections. You have a cure for it in what is called diffusion, a process which makes sound return to your ears at several intervals instead of at one go. The process of diffusion makes use of a diffuser panel consisting of several small fragments. To look at them, they might seem random bits but the fact is that there is unerring mathematics at work. For instance, the Skyline diffusers make use of archaic root formula. In other words, every division is a specific prime number. If rightly used, it works perfectly in small rooms, enhancing the stereo image and the general acoustic quality of the room. It is an art to perfectly make necessary adjustments in your space in order to reproduce low frequencies rightly; but it can turn out to be a challenging task. Normally you begin by treating the corners of your room with conventional bass traps. What this does is thwarting the powerful low frequencies, which direct themselves in all directions, from converging to form bass heavy spots. If you feel the need to treat even the joints between the ceiling and walls, you may go on to do so. Even after treating your room this way there remain bass heavy areas, then possibly it indicates you are facing the nodes and standing waves situation. To remedy this problem you need to make use of more sophisticated wall mounted traps, which are very like broadband absorption panels but consist or many layers and more compact material. These are costly and if you can afford them, then it’s good you avail yourself of DIY versions which are very effective. Isolation and decoupling of your speakers and subs from your workstation and other elements like desk and floor that form the elements of working environment by using dense platforms under them. It takes out resonance from the surface that your speakers rest on. In other words you don’t get to hear your furniture along with your mixes. Another thing that decoupling does is decrease the amount of low frequencies from being transmitted to the walls, floor and ceiling of your studio and stop sound from spilling into other rooms adjacent to the studio. And as regards the subs, you isolate them with thick pads and decouple your kit affected by resonance. For instance, you can isolate turntables to avoid errors making way into playback. This happens in loud environment. Once you know the types of acoustic treatment available to you, and are able to locate problem areas in the room you intend to use as a studio, you are ready to start the installation process of the stuff. However, you’ve got few options at your disposal concerning sticking panels, traps and diffusers on reflecting surfaces. Using glue offers a lasting solution to it; but if you are in for a temporary arrangement, then a spray adhesive will do. And if you don’t want any mark or glue and all that, then you have the option of using Velcro pads or pins to fix the treatment in its rightful place. There are fine products of companies like Auralex you can find in the market but it is advisable to try out your local hardware store to get something at a lower cost. You need not be a scholar of acoustics to have the right understanding about where the treatment should be placed. To understand the whole thing, you only need to compare the sound movement with the balls in the game of pool. Suppose you shoot them from your monitor, what would happen? It will hit the very first hard surface it meets in its passage and then rebound from there and go on to hit another surface and continue to hit and rebound from different surfaces until comes to a standstill. That’s what happens with the sound. You don’t actually want the rebounded sounds to reach your ears. To avoid this from happening, you treat the reflecting surfaces with broadband absorption panels. Once you learn the difference it makes, you will automatically realize how necessary it is to treat the front and back walls and the reflective surfaces right above and at the sides of the position in which you are listening. These are the basics of acoustic treatment. You can go deeper into the subject by doing some research and spend some time on it. Another thing, as stated before you can use diffusion panels on reflective surfaces just above your workstation but you can also arrange both diffusers and absorption panels in alternate order if you want more open sound in the room. It will largely depend on your taste. But when it comes to treating your room for bass frequencies, then it will call for procedural difference and you’ll need to be a little bit more careful in dealing with it. To be on the safer side, you’ll do better to treat all corners of the room. If you want to deal with acoustics treatment all on your own, you do indeed require an approach which involves a lot of commonsense and caution. Just find out what kind of treatment or combination of treatment is required, and try to go for additional treatment in gradual manner and after meticulous listening sessions that should take place during the time the process is on. If you follow these tips without fail, it cannot be that you fail to create superb listening environment, and subsequently fine mixes that can be conveyed to the real world the way you want them.